During 2015 – 2016, Cornwall Museums Partnership supported a series of community engagement projects in partnership with a range of arts organisations. 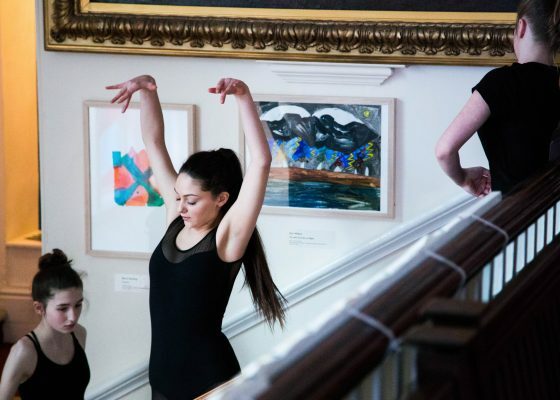 The aim of the projects was to bring everything from dance, music, poetry, and performance into the museums and create exciting new ways of engaging with their audiences. The projects meant that more people were inspired by the pieces that were created, and would then engage further with each museum’s collections. Cornwall Museums Partnership worked with a number of museums including, Penlee House, The National Maritime Museum, Falmouth Art Gallery, Wheal Martyn and the Royal Cornwall Museum. Working in partnership with Miracle Theatre, Penlee House collaborated on a volunteer perks programme, which explored ways to develop a cross-over of volunteers between the two organisations. Research was also made on how Penlee could use a range of creative approaches to further support, increase, and develop their volunteer base. Working in partnership with Newlyn and The Exchange, The National Maritime Museum created a project, which linked to their ‘In Search of the Miraculous’ exhibition. As part of the project the museum worked with artists and several community groups to sail a flotilla around the coast from Newlyn to Falmouth. Working with the Hall for Cornwall, Falmouth Art Gallery created a new performance piece based on their ‘Kith and Kin’ exhibition. 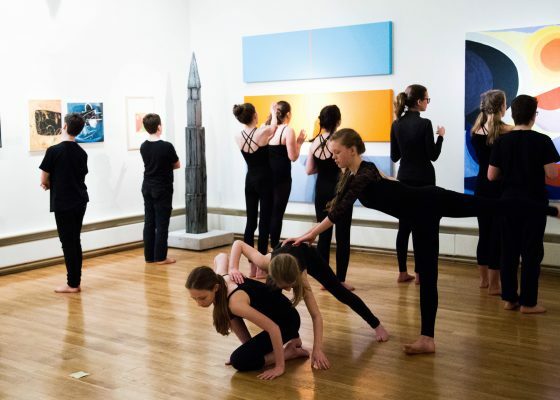 Young people from Hall for Cornwall’s Youth Dance company spent time in the gallery exploring the exhibition and developed a new contemporary piece, which was performed both in the gallery, schools and across a range of outreach settings. The museum in Truro worked in partnership with Cornwall Music Education Hub as part of their ‘A Story of Cornwall’ project. ‘A Story of Cornwall’ was a new choral piece composed to relate to Royal Cornwall Museum’s collections. The piece was later performed in the main gallery to an audience of over 200 people by children from two local primary schools and a community choir. Based in St Austell, Wheal Martyn worked in partnership with KEAP on a literacy project with a cluster of local primary schools. Young people from the local area used Wheal Martyn’s unique site and history as the stimulus for a range of creative literacy responses, which included written installation pieces and live performance poetry performed across the site. All of the museums who took part in the project are continuing to develop the next stage with arts partners. A series of follow-up projects are currently being delivered during 2016/17.